Autumn is just around the corner (at least in the Northern Hemisphere) and it’s my favorite season. I love the colors (red, gold, moss green, slate blue, maroon, deep purple), the food (apples, squashes, pumpkins, hearty soups and stews) and sweater weather. I love lighting candles at night and having the occasional fire (though it’s just ethanol fuel these days!). I love settling in at night with quilts and movies and family. 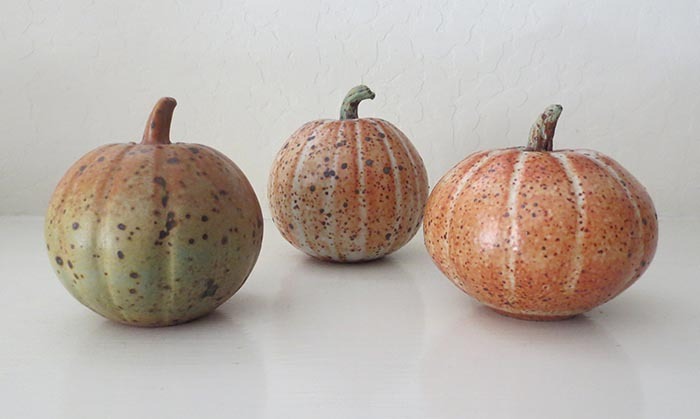 But I’ve noticed that I don’t decorate for fall other than set out a few small ceramic pumpkins. (I bought these over a period of years from potter Hsin-Chuen Lin.) I’ll put them on our mantel where they’ll sit through Thanksgiving. If I find some pretty leaves on a walk, I might bring them home and intersperse them with the pumpkins. That’s it! 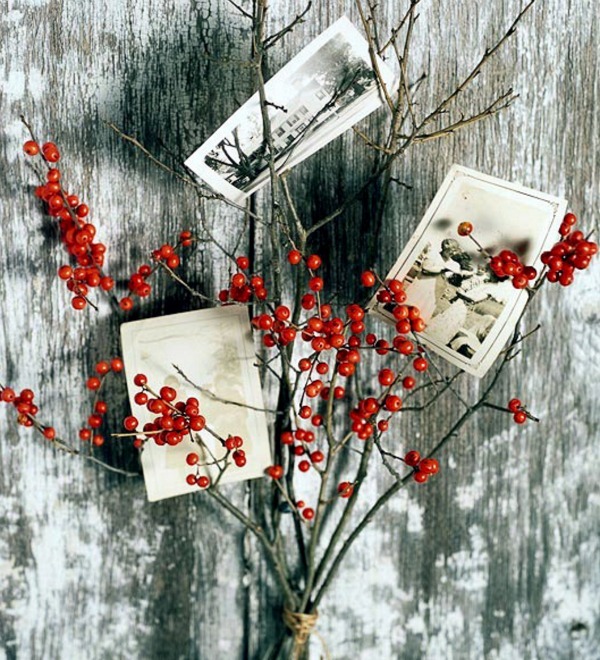 This year I thought maybe I’d do a little more to decorate for my favorite season…but what? 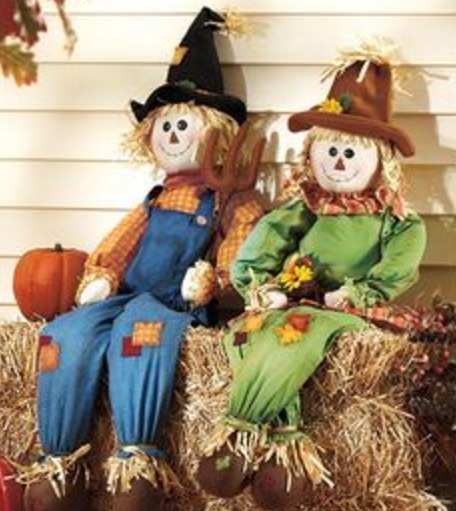 I knew I didn’t want to buy cutesy decorations…like these scarecrows. Just not my style. Nor do I want elaborate wreaths/swags made with artificial stuff…you know faux leaves, plastic berries, nuts spray-painted gold…though to be honest, some of these can be lovely. Then the light bulb clicked on and I realized the decorations that most appealed to me were ones made by Mother Nature. And that’s what this season is about…harvest! 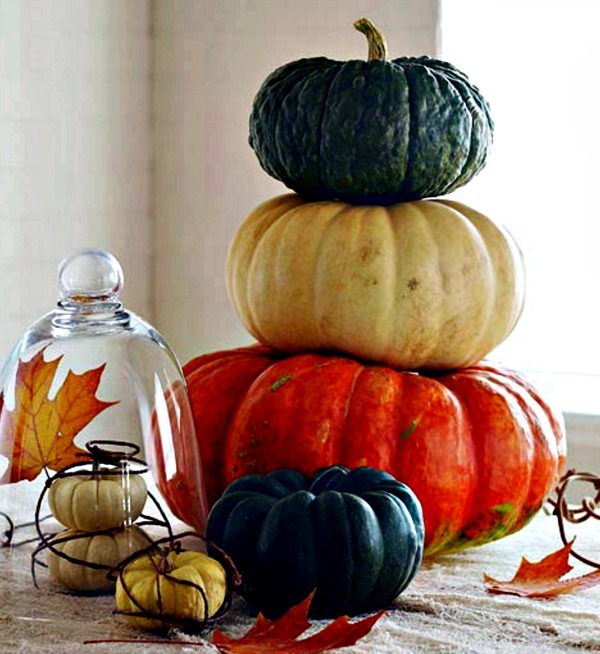 So I did some online research to get ideas and fell in love with the ones from Ofdesign.net…like this simple stack of colorful pumpkins. I could do this on our little stoop. I also loved these filled apothecary jars from B. Lovely Events. 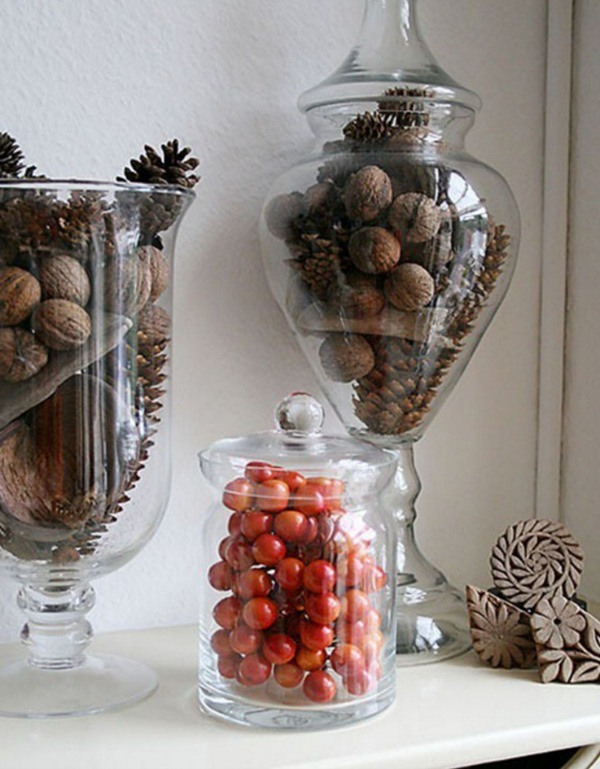 Wouldn’t pinecones look great filling my antique brass jelly pan? Well, I’ve got a few ideas now. Most of my decorating supplies will be bought inexpensively from my neighborhood plant nursery or picked up around the neighborhood and will be composted later in the season! How about you? 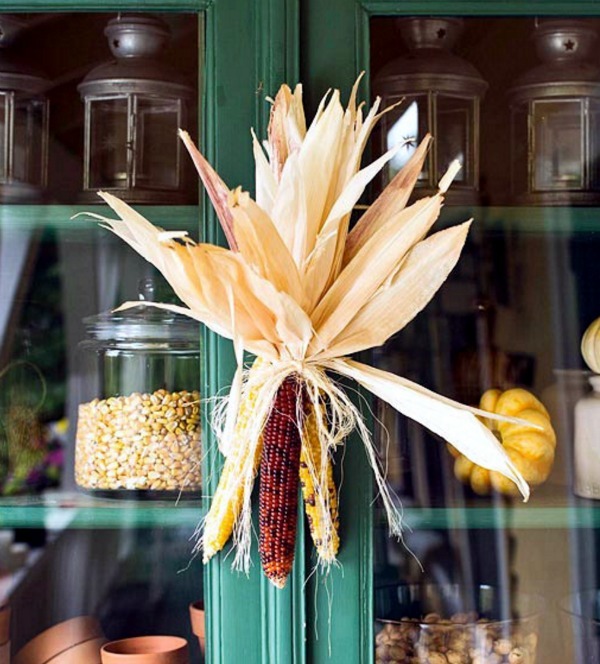 Any plans for autumn decorations? ?